You're Protecting More Than Just the Sling! 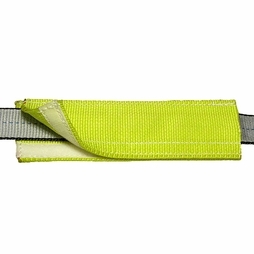 Wear pads help protect slings against cutting and abrasion. The number one cause of synthetic sling failure is cutting (damage can also be done to chain and wire rope slings). When slings are cut, property damage and personal injury or death can result, and that's why we say that you're really protecting more than just the sling itself. You're taking extra steps to ensure the safety of your equipment and personnel. Below you will see both tubular (aka "slide on") wear pad sold by the linear foot, as well as sewn wear pads that are cut-to-length. 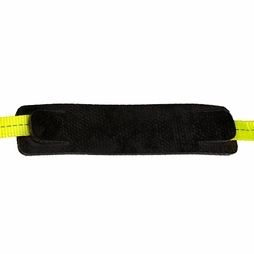 Our most popular option is our 2-1/2" Nylon Chafe Sleeve. 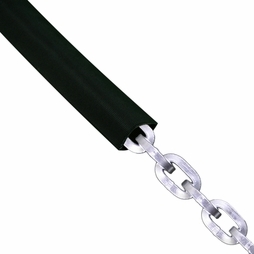 We use it to fit 3/8", 7/16" and 1/2" Security Chain, as well as larger diameter soft ropes. 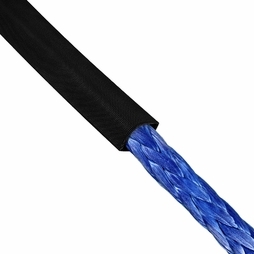 For general sling protection, we offer the Lift-All Nylon Quick Sleeves in three different sizes. 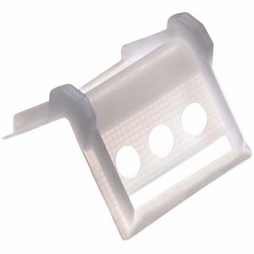 These wear pads are really handy because they can be installed and removed in no time at all, meaning they can go from lift to lift offering quick deployment and a long service life. Most wear pads are oversized to allow plenty of room to fit on the sling. 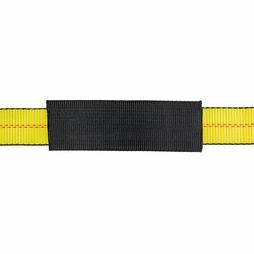 For example, the 4FQSN below is 4" in size and designed to fit over 2" web slings. When ordering the tubular nylon chafe sleeve, please note the ID of each size and order according to the width or diameter of material you want to install the chafe sleeve over. 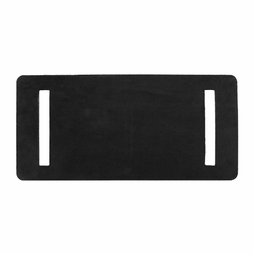 Lift-All Nylon Quick Sleeve Wear Pad - 3" x 12"
Lift-All Nylon Quick Sleeve Wear Pad - 4" x 12"
Lift-All Nylon Quick Sleeve Wear Pad - 6" x 12"
Lift-All Poly Wear Pad - 3.5" x 12"
Lift-All Poly Wear Pad - 6" x 12"
PCC Rubber Slotted Wear Pad - 6" x 12"